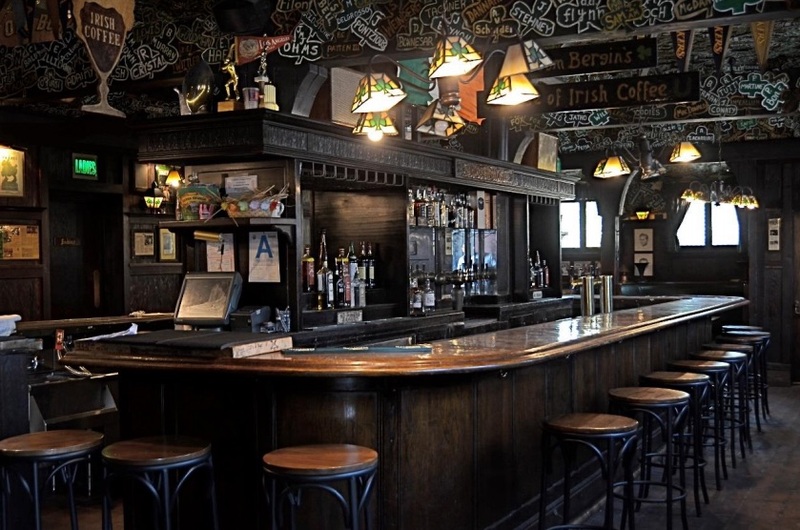 Classic Irish pub Tom Bergin’s may be on track to become a landmark in Los Angeles–but that won’t necessarily bring the now-closed bar back to life. The current owner wants out after years of slow business, and declaring the building a monument may do nothing to keep the Irish coffees coming. The year got off to a rocky start for Tom Bergin’s. At first, it looked like the 82-year-old business was going to shutter in January. Then management came back, saying the idea was only to end food service, but keep the bar open in a limited capacity. There was a St. Patrick’s Day party in March, but after that, current owner Derek Schreck was no longer able to keep the business afloat, and the building has been closed ever since. Now, months after the bar’s closure, a formal nomination for Historic Cultural Monument status has been submitted–not by the owner, but by the L.A. 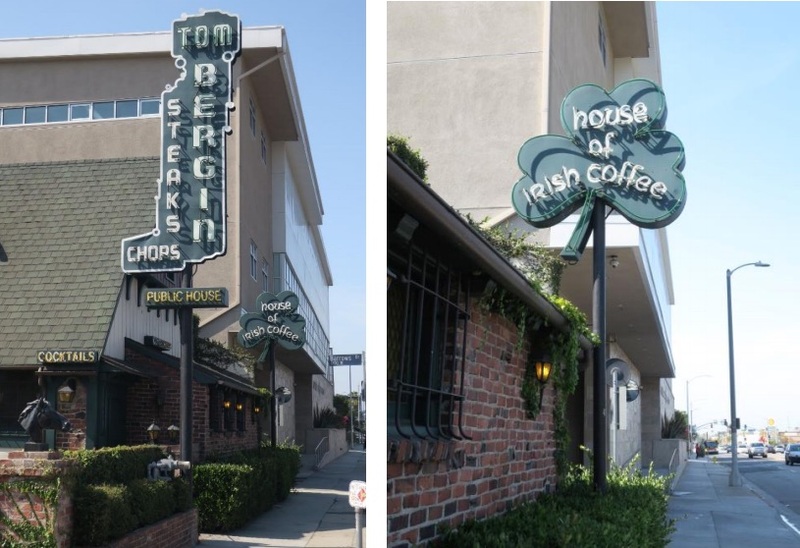 Conservancy in collaboration with the Miracle Mile Residential Association and a newly formed group that calls itself Friends of Tom Bergin’s. 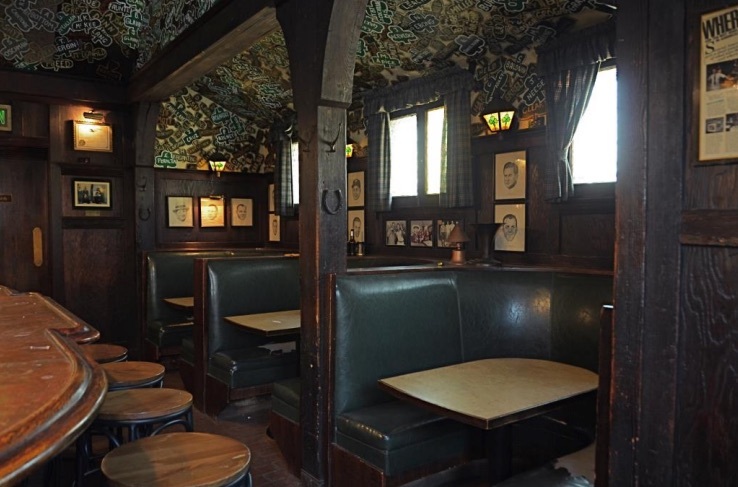 The Tudor Revival building on Fairfax Avenue has been considered eligible to apply for Historic Cultural Landmark status since 2015, but nobody pressed the matter while the bar was operating. The urgency now is that Schreck has announced his intention to sell the building, and preservationists fear the buyer may not be interested in keeping the bar intact. Schreck, a long-time patron and fan of Bergin’s purchased the building and business in 2014, after it had been closed by the previous owners, Warner Ebbink and Brandon Boudet. They purchased it in 2011, invested in an extensive refurbishment of the interior and kitchen in hopes of reviving the aging pub, but they were never able to attract enough customers to make back their investment. 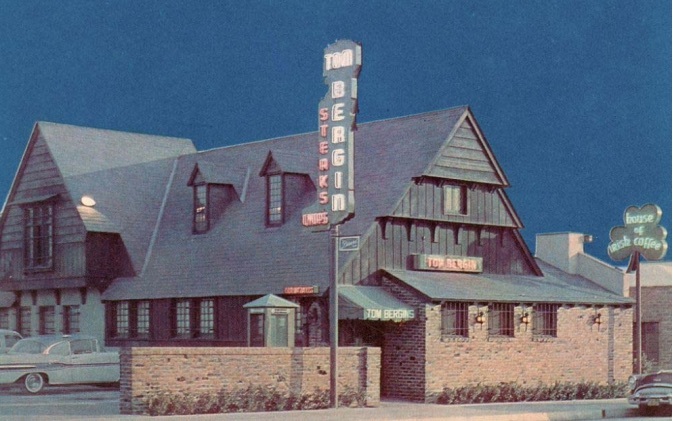 Thanks to that renovation, Hixon hopes that a new owner could once again step in to reopen the doors and run the Tom Bergin’s that the neighborhood has known for generations. Just because the kitchen is up to code, doesn’t mean patrons are coing in the doors, but Hixon believes it’s a good time for hospitality in the neighborhood. That increase in foot traffic from the Metro and museum may be too far into the future for Schreck to continue to hang on to the property and wait. His goal for now seems to be to sell the building to cover the outstanding expenses incurred over the last five years. While Schreck did not respond to a request to comment for this story and has made no public comment on the landmark application, Hixon’s impression of their meeting was that Schreck did not want to see the building listed before he is able to close a sale. “He acknowledged that Bergin’s should be landmarked, but he was worried that HCM would deter potential buyers,” Hixon says. If the building were to be listed as a monument, it would limit what could be done to the historic structure. A new buyer might be more interested in the valuable land the building sits on rather than keeping any of the vintage building itself, particularly if the Purple Line Transit Neighborhood Plan is adopted, allowing for denser development along the corridor where the property sits.